As the last part of our series, we have something special for you. Through the kindness of Mr. Ken Takahashi and Ms. Kurumi Kinugawa, I had the opportunity to interview the famous French director and international great, Patrice LeConte. I, myself, am a huge fan of his work, and I’ve watched his films “Monsieur Hire” and “The Hairdresser’s Husband” over and over since I first saw them about 20 years. My impression of Mr. Leconte in person was, regardless of being a world-renowned director, that of a friendly, humorous and warm gentleman. I was deeply touched at how Mr. Leconte happily answered each of my questions at length despite our being a small media outlet, gave me his signature when I told him I was a fan of his. He even agreed to have his picture taken with Kyoto Prefecture’s mascot character “Mayumaro”. 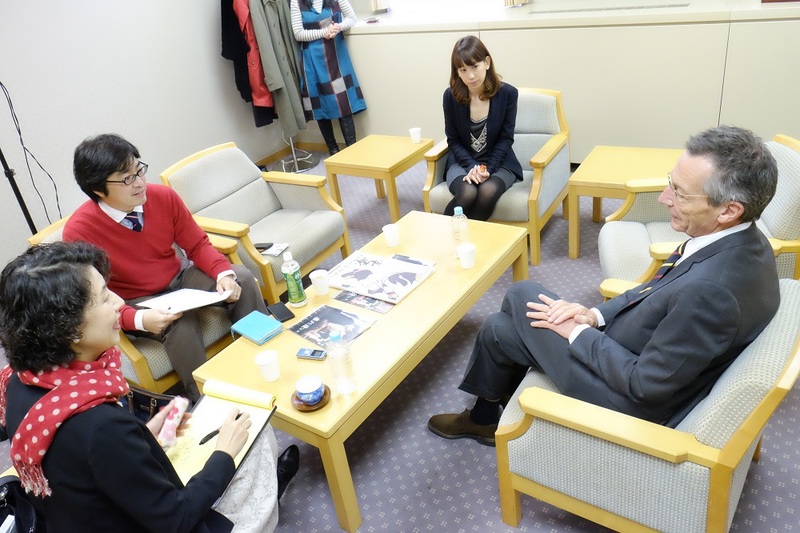 I begin by explaining “ENJOY KYOTO” to Mr. LeConte, and after a bit of a “presentation” that I would never have imagined 20 years ago, finally got into the interview. Matsushima (Hereinafter “M”): Hello. Pleased to meet you. 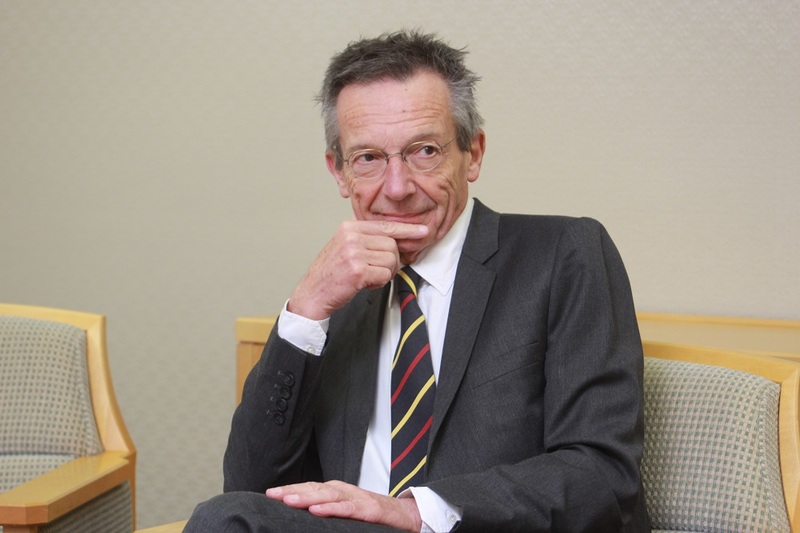 Patrice Leconte (Hereinafter “L”): Hello. Me too. M: Have you ever been to Kyoto before, Mr. LeConte? L: I’ve been to Japan about 15 times, but I’ve only been to Kyoto once some time ago. This is my second time. M: So you don’t have much of an impression of Kyoto yet? L: No, of course I have an impression. Temples, traditional wooden houses, etc. But after seeing many traditional things, I realized that I actually like the modern aspects of Japan. I’m not saying that ironically. I’m more attracted to Japan’s advanced aspects. M: I heard that you originally studied anime and manga. Are there any Japanese manga that you like? L: I know some. I don’t know their names though. What makes it difficult is I don’t really feel the cartoonists’ individual styles. They all look the same. All cartoonists seem to share a common graphism. This is just a guess, but that might be because they’re trying to respond to what the readers like and expect. M: Let’s move on to your new movie. M: Okay. What was your reason or motivation for making Zweig’s novella into a film? L: Firstly, the emotions Zweig depicts in his novella really fitted with the emotions I have. A very important factor when you’re going to make an original work into a movie is that it’s comfortable for you when you’re reading it. I wanted make it into a movie because there was a strong self projection in the characters in the novella. M: Could you explain that in more detail? L: For example, in the case of Friedrich, he is crazy in love but he has to keep it inside. He can’t let that forbidden love be known to anyone else, and he can’t be sure what the other person thinks of him. I was really moved by that situation and those feelings. M: You’ve experienced that kind of love? L: Of course! All the time! (laughs). Naturally in the case of this film, it is clearly set in a specific era starting in 1912, but the love he has is something that is real in the present age too, and we can’t say that this is something of the past at all. Well, there is a sense of romanticism in their love, but, conversely, this is something missing from our present age, and I think that’s a bit of a pity. M: The film is called “A Promise”. The title of the original novella was “Journey into the Past”. Why did you choose to call the film “A Promise”? L: Um, actually that’s something I was a little unsure about. I discussed it with the producer and with my co-writer Jerome Tonnerre. We thought that the title “Journey into the Past” was a bit too literary for a film. Well, I know the Japanese title has a different meaning. Anyway, when I hit upon the idea of calling it “A promise” in the singular, I thought “I’ve got it!”. She actually says she’ll be his in two years time, and not just that, but I think the words “A Promise” really have a connotation of hope. M: The word “promise” is one keyword, and I also felt that another important theme is past and future. A “promise”, in terms of tense, is being connected in the past, passing through the present, and keeping it into the future. Were you conscious of that kind of flow of time? L: Exactly as you say. A promise is a promise for the future, and hope is held for the future. M: Incidentally, this film has a French director, is set in Germany, and has English actors and an English script. What were your intentions in making it like this? L: Also, Zweig is Austrian and it was filmed in Belgium. (laughs) At any rate, I couldn’t imagine having French actors speaking French in a film set in Germany. To tell the truth, at first I wanted to do it in German. Because the novella is written in German and it’s set in Germany. But I don’t speak German at all, and it would feel strange for a French director to film in Germany. We had the idea of doing it in English because it’s the common language of the world, and we agreed unanimously. M: How did you write it? M: And had it translated? L: That’s right. My co-writer Jerome and I went ahead checking very carefully that there weren’t any mistakes. This was a very important process. M: We write our articles in Japanese and have them translated to English, so I understand the importance of that. L: Actually the translation of the first translator who we asked- an English person who was also a scriptwriter- had a very heavy feeling and we were dissatisfied. Of course the story is set 100 years ago, but while we wanted to convey a modern feeling, he made it into an old-fashioned, dusty script. (laughs) So then we asked a different translator. That person had had experience with subtitle translation, and so came up with something that matched our French version. M: Although the story is set against that important background of the First World War, there is not one gunshot in the film. There are no battle scenes; it’s basically a dialogue piece that takes place in a mansion, which was very interesting. L: That’s exactly how Zweig’s novella was. Even though it’s during a war, the war is not depicted at all. That was just right for me. M: Also the sound of the bell made an impression. L: Yes, that was very important. That is the sound and the sign of the beginning of war. M: It left an impression on me that you didn’t show war itself, but expressed it through motifs and symbols. M: There’s a scene where Friedrich and Lotte go to the opera together, isn’t there? The program is “Fidelio”. That opera has a theme of being set free from suffering. Is it symbolic that that is the opera the two see in that scene? L: Actually this opera scene, when I talked with my co-writer Jerome about which opera to choose, he suggested Fidelio to me, who knows nothing about opera. So I didn’t intend anything at all, but just as you said, I’m sure Jerome was probably thinking the same as you. M: At the end we see the Nazi’s parade. That’s implying that the happiness isn’t going to last for very long for the two? L: That’s right. That’s right! Of course in the scene where they embrace there is light shining on them emotionally like light shining through the clouds, but the parade of the returning soldiers is foretelling the arrival of another new storm. So while the last scene is one of peace for the two, as the last scene of a film, it’s a somewhat sad ending with not much hope. 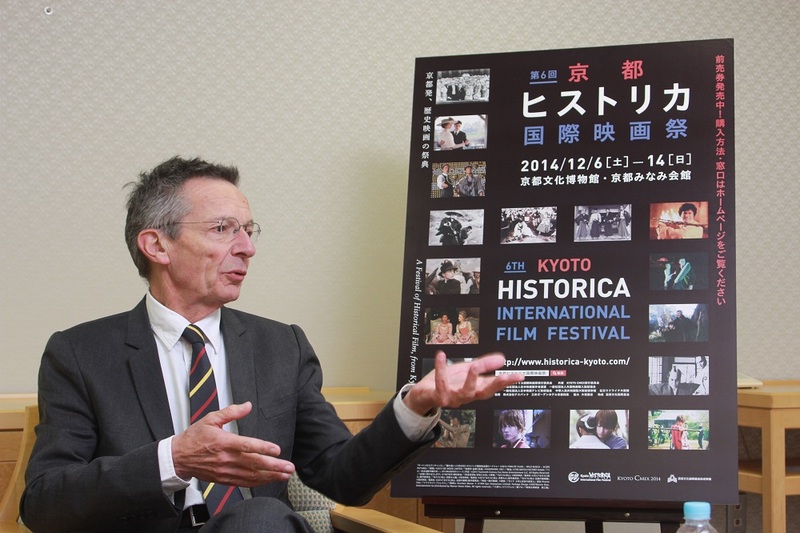 M: The Kyoto Historica International Film Festival is a film festival that brings together historical films, which isn’t really seen anywhere else in the world. What do you think about this film festival? L: I cheered when I received the invitation this time to the Kyoto Historica International Film Festival. Not because my film was going to be shown, but because I think the concept of this film festival is wonderful. I think it’s wonderful to have a film festival that is not just a mere film festival, but has some kind of unique concept. Of course there are many film festivals in France, but the best ones of those are the ones that have a proper personality. 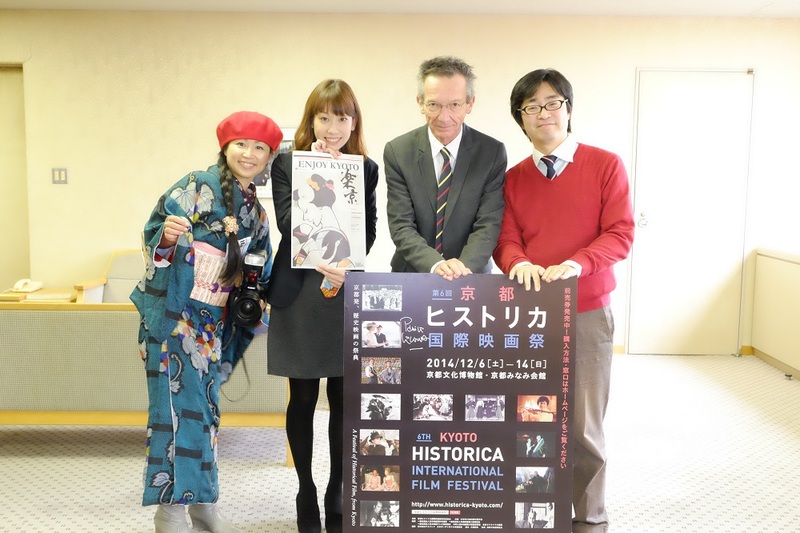 I think probably the Kyoto Historica International Film Festival is probably the only historical film festival in the world. But I’m glad the Kyoto Historica International Film Festival doesn’t just specialize in samurai films. Because if that was the case I probably wouldn’t have been invited. M: Not surprisingly, there aren’t any samurai in your films. (laughs) But if you were going to shoot a film in Kyoto, what kind of film would it be? L: That’s a very good question, and at the same time a very difficult question. 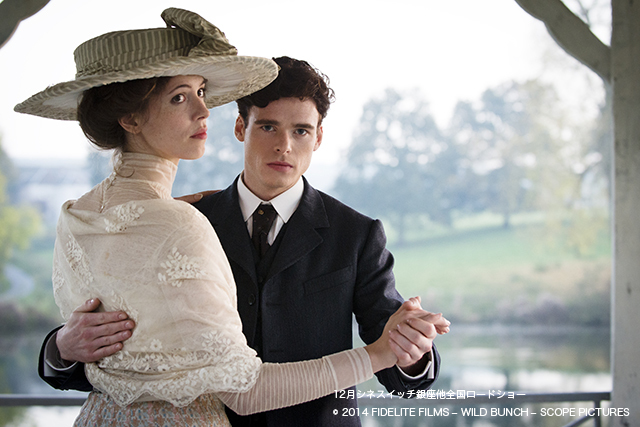 (laughs) But I don’t think I’d shoot a period film in Kyoto. That goes back to what I said before. M: Ah, a modern film in Kyoto? 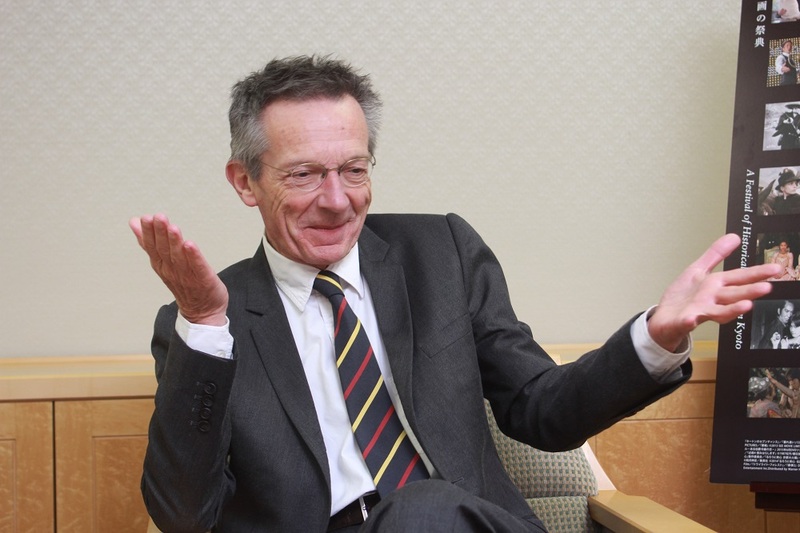 M: But I’d really like to see Kyoto now as seen by Patrice LeConte. L: I would have to know a bit more about Kyoto to do that. M: Hopefully you’ll have the chance. L: (In Japanese) Arigato Gozaimashita. M: Thank you, too, for a very fun interview. So, what did you think? The questions I asked in Japanese were then translated into French, and Mr. LeConte’s answers in French were translated back into Japanese. I wrote the interview up in an article in Japanese to be translated into English. I’m wondering very much how accurately Mr. LeConte’s ideas are being conveyed to English speakers. But as long as you enjoyed the interview, I’m happy. Incidentally, one last thing. There was one very naive question that I couldn’t ask in the interview. That was whether the film is depicted in a way that links to current EU issues. Let’s get it straight. This movie has a French staff, was filmed in Belgium, with English actors and an English-language script. But the original novella was written by an Austrian in German and set in Germany. With the Nazis gaining power, the author, Zweig, switched his activities to England and the US. What we can see from these grouping is that France, Belgium and Great Britain fought as the “Allies” in World War One, and Germany and Austria as the “Central Powers”. I suspect that behind the reverse combination of these groupings and the depiction of this story of vexing love are the director’s irritation and complicated feelings about Europe today. The right wing has taken power in LeConte’s home country of France. Furthermore, the EU, which was held up as an ideal initially, now appears to be questioning whether or not it is in fact ideal. To me, this story of sincere love made exactly 100 years after the First World War depicts the importance of continuing to chase a dream that may not come true. “A Promise” is, perhaps, also a vow to not repeat the same tragedy again. Looking at it like that, the significance of Patrice LeConte’s words that a promise is also hope pierce that much more deeply.